The adjacent outline map highlights the State of Hawaii at its lower left edge. Hawaii is located in the Pacific Ocean, about 1470 miles north of the Equator. The Hawaiian islands are bounded by the Pacific Ocean and Alaska (about 2500 miles distant) on the north, by the Pacific Ocean and American Samoa (about 2600 miles distant) on the south, by the Pacific Ocean and California (about 2500 miles distant) on the east, and by the Pacific Ocean and Taiwan (about 5000 miles distant) on the west. Hawaii is the 47th largest state in the United States, covering a land area of 6,423 square miles (16,636 square kilometers). Hawaii is comprised of eight major islands, divided into five counties, but three out of four Hawaiians live on the island of Oahu. This Hawaii map site features road maps, topographical maps, and relief maps of Hawaii. The detailed, scrollable road map displays Hawaii islands, cities, and towns as well as Interstate highways and Hawaii state highways. The pannable, scalable Hawaii street map can be zoomed in to show local streets and detailed imagery. to view a scalable Hawaii road map. The detailed Hawaii map and the regional Hawaii map display cities, roads, rivers, and lakes as well as terrain features. The detailed map shows only the State of Hawaii, while the regional map shows Hawaii and the surrounding region. Hawaii's capital city is Honolulu. The major Hawaiian islands found on the Hawaii map include Hawaii, Maui, Oahu, Kauai, Molokai, Lanai, Niihau, and Kahoolawe. The northwestern Hawaiian islands, all uninhabited, are not shown on these maps. In 2005, the population of Hawaii was estimated at 1,273,278, which is about 198.5 people per square mile. In 2010, Hawaii's population rose to 1,360,301 people. Although Hawaii does not border any other states, Hawaii has three primary Interstate Highways, designated H-1, H-2, and H-3. The islands of Hawaii may have been named by Hawaii Loa, their legendary discoverer, or Hawaii may be based on "Owhyhee", the native word for homeland. Hawaii is a tropical paradise destination for tourists from all over the world, and is home to Mount Waialeale, fabled as the wettest place on Earth. The moist climate plus Hawaii's geographic and reproductive isolation, means that many of the flowering plants found in Hawaii today do not grow naturally anywhere else on Earth. Flora aside, Hawaii is a land of smoking volcanoes, black sand volcanic beaches, and majestic vistas. The largest island of Hawaii continues to grow in size due to active volcanoes such as Kilauea, and the island of Molokai features the world's tallest sea cliffs, rising more than 2,000 feet from the water's edge. The sport of surfing was introduced to the world by Duke Kahanamoku during the early 20th century; surfing is the signature sport of the Hawaiian islands. For Hawaii travel and tourism information, visit the official Hawaii tourism site and Hawaii Atlas. This online Hawaii reference map shows major cities, roads, railroads, and physical features in Hawaii. 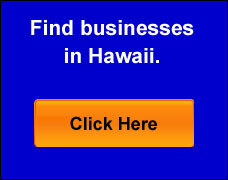 Several map publishing companies offer printed maps of Hawaii. For example, Omni Resources offers several maps of Hawaii that feature points of interest, airports, and parks, as well as selected local attractions and insets of major Hawaiian cities. Hawaii-Map.org Editor, State Maps, PO Box 775, Barnegat, NJ 08005.